Most of my childhood was spent in the suburbs of Boston. Often I took my proximity to the city and its culture for granted; I realize now not everyone has front row seats to where some of the most important events in world history played out. But as a kid, Massachusetts’ capital was just beyond my backyard, and I loved the daytrips and field trips that took me within city limits. 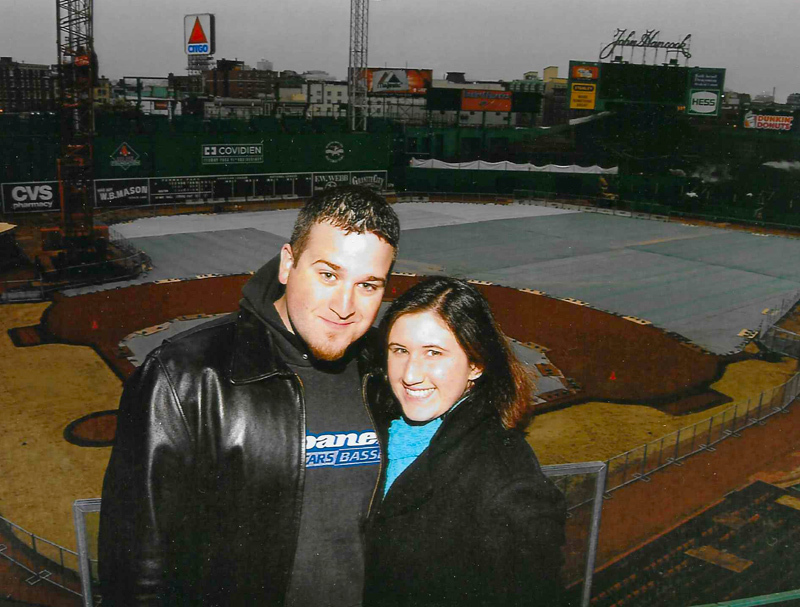 Adam and I make it our mission to visit Boston whenever we can, and we’ve amassed quite a few favorite places. From great museums to scenic walks to iconic meals, it’s always fun to revisit the spots we love and discover new places to spend an afternoon. 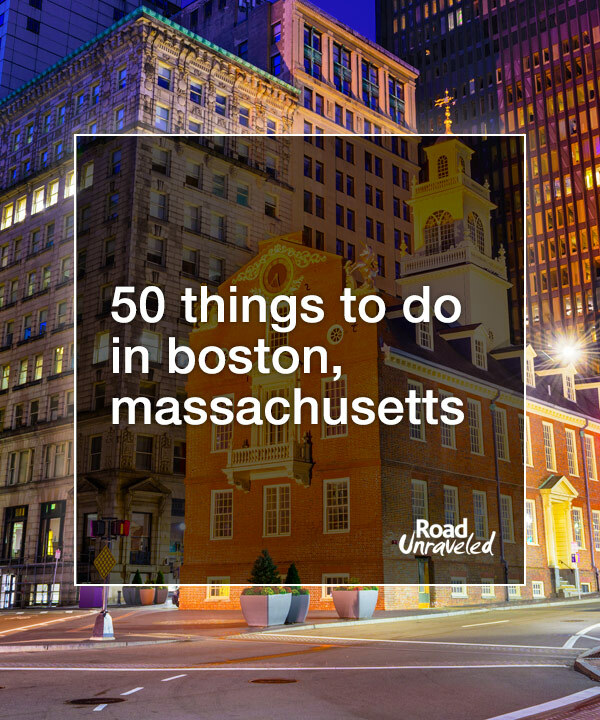 If you’re thinking of adding Boston and its surrounding neighborhoods to your travel plans, here are 50—yes, 50—of our recommendations to tour, eat, drink, and learn (in no particular order!). The quintessential stop when you visit the city, Boston Common should be on every visitor’s list. It’s the oldest park in the United States and holds a piece of history for events since the Revolutionary War. No matter what season hosts your visit, you’ll find it beautiful and firmly routed in this country’s story. On a nice, sunny day, nothing beats a walk around Boston Harbor. 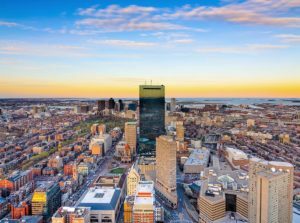 Make the trek from the North End to South Boston and pass plenty of tourist sites while taking in city views and watching the boats sail to their destinations. If there were one place I would recommend visitors see in Boston, the Public Garden would be it. Beautifully landscaped, it’s home to the Swan Boats and the Make Way for Duckings statues—loved by locals and tourists alike. Take a nice walk or pick a bench and enjoy the stop. If you’re thinking you can go bowling anywhere, think again! Candlepin bowling isn’t like the bowling you’re probably used to—the bowling balls are smaller, the pins are smaller, and you get three balls per frame instead of two. You’ll find plenty of candlepin alleys in and around Boston, so grab a few traveling companions and enjoy! There are lots of places to walk and enjoy the outdoors in Boston, and the Charles River Esplanade is among them. Enjoy lovely river views and consider a nice morning jog along the three mile stretch. A visit to Boston in the spring or summer necessitates a trip to Fenway Park. It doesn’t matter which team you usually root for—or if you like baseball at all—because Fenway is so steeped in Boston’s history and traditions you’ll be swept up by the cheering crowds in no time. Don’t forget a Fenway frank and a Sam Adams to complete the experience. The Fenway Park tour is fun even in the offseason! As a kid, zoo field trips were an instant winner in my book. Franklin Park Zoo may not be the biggest, but it’s within Boston city limits and is a great way to spend an afternoon, especially if you have children with you. They often have a capybara among their ranks—my personal favorite—so pay him a visit if you see him! Harvard has a beautiful campus and makes for a beautiful place to walk around; as you do, you’ll be admiring one of the oldest colleges in the country. I think it’s most fun to visit when classes are in session, especially in the early fall, when enthusiasm for the new academic year is at its peak. If you’re looking for a unique experience, the Institute of Contemporary Art has a great collection to get you thinking. This is the kind of museum that will challenge you—it’s not for everyone—but if contemporary art is up your alley you should consider spending a few hours here. Art lovers will really enjoy getting lost in this museum, which specializes in European, Asian, and American contemporary and historic art. Gardner’s final will specifies that anyone who visits wearing Red Sox gear is entitled to a discount—and anyone named Isabella gains free admission! As far as art museums go, this is one of my favorites. Boston’s Museum of Fine Arts boasts a great collection of Impressionists, modern art, and collections curated from around the world. I always love visiting the Egyptian section. You’re likely to find at least a couple of works that speak to you. Boston’s Museum of Science is world-class, and you’re almost guaranteed to find something of interest for the whole family. Plan to spend at least a half-day exploring the often changing exhibits, and look forward to learning a lot. Don’t miss the Omnimax Theater, which will cost you a little extra but is worth it. Fashionable Newbury Street is a great place to shop, dine, and people watch. Whether you’re browsing through some of the high-end shops or sipping coffee at a cute café, you will enjoy the atmosphere and charm of this fun area. It’s also a great place to see some of the historic brownstones that give Newbury Street character. Some of my favorite memories from childhood involve the New England Aquarium. They house several types of penguins and an enormous collection of aquatic animals. I always love to visit the seals! Children will thoroughly enjoy a trip to the aquarium, but adults will find just as much to make them smile. If you’re looking for incredible views of the city, look no further than the Skywalk Observatory. Located on top of the Prudential Center, you will be treated to 360-degree views of Boston. Pick a clear day for the best experience, or go after dark to watch the city light up below you. Before you hail a taxi, check to see if Boston’s water taxi can take you from point A to point B. The water taxi is a pleasant, affordable way to trade traffic for skyline views. It also makes a great alternative to getting to and from the airport—the ferry is connected to Logan Airport by a free shuttle. Beacon Hill is a beautiful Boston neighborhood that is also home to the Massachusetts State House, recognizable by its gold dome that can be seen from many spots in the area. Stroll through and admire the architecture and a number of historical landmarks. Bunker Hill hosted one of the earliest and most deadly battles during the Revolutionary War. More than 1,500 people perished during the attack—more than 1,000 of whom were British. Today, a monument sits on top of Breed’s Hill, as Bunker Hill is more residential these days. Learn about the famous Boston Tea Party in a floating museum onboard a ship! You’ll get a nice, interactive tour including renowned storytelling that will make you feel like you’re part of history. Just don’t get too caught up in the moment—you won’t need to toss anything overboard to protest taxation during the tour! Not quite an island anymore, Castle Island may be connected to the mainland but it’s a great place to visit. Of special interest is Fort Independence, originally constructed in the 1600s. Local legend has it an officer was walled up in the fort’s dungeon—and that story inspired Edgar Allan Poe to write The Cask of Amontillado in 1827. Come here to spend time in the place where the American Revolution was born! 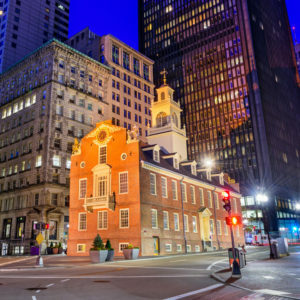 You might not know that the earliest conversations about separating from the United Kingdom took place in a hall in Boston, but you can indeed visit the room where the planning took place. Faneuil Hall’s first floor has been converted into shops, but the second floor’s meeting hall is open to the public. History lovers rejoice! 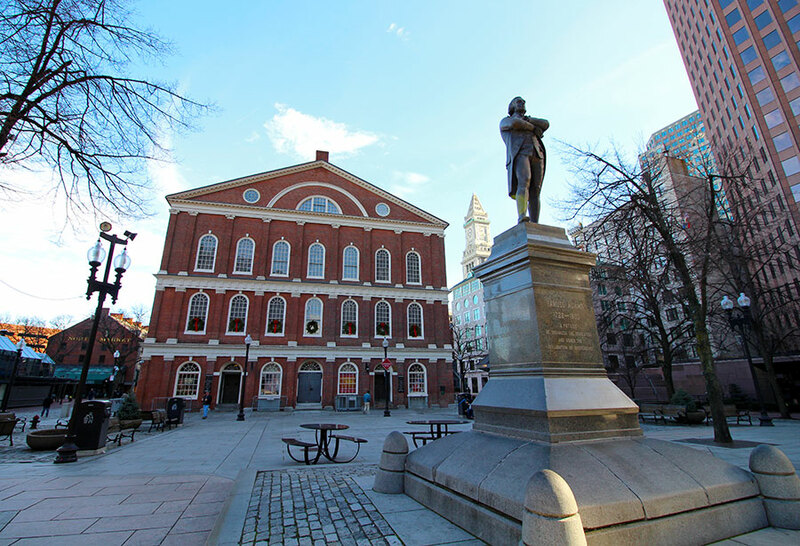 The Freedom Trail is quite possibly the best walking tour you’ll take in the city. 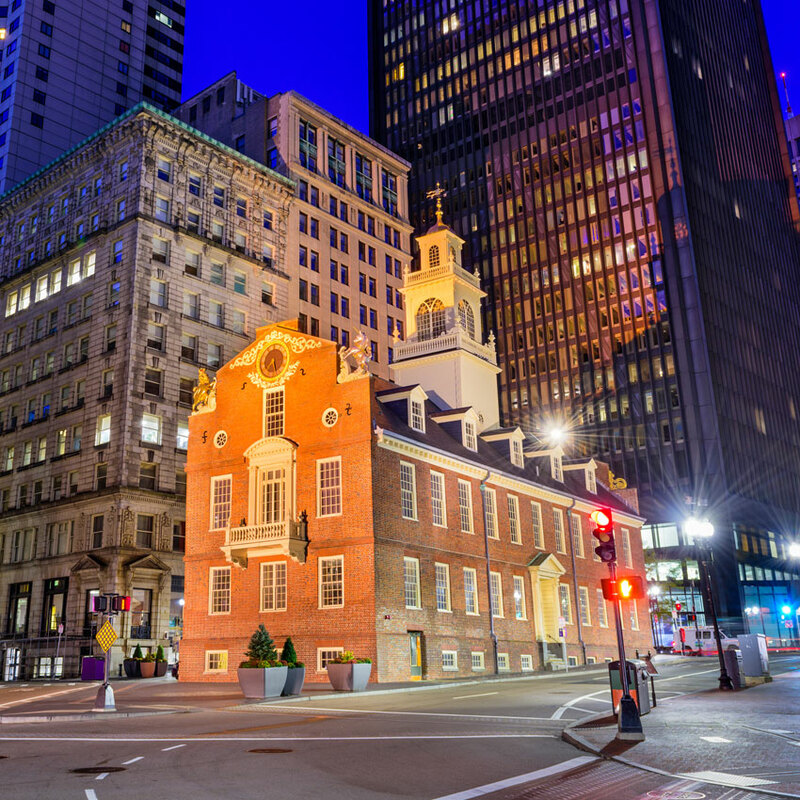 The 2.5 mile route will take you past famous spots including Boston Common, the Old State House, the Park Street Church, and the site of the Boston Massacre, so you’ll learn a lot and see plenty along the way. The third oldest cemetery in Boston is the final resting place for some of the city’s finest, including Paul Revere, Crispus Attucks, John Hancock, and Samuel Adams. An interesting fact is that there are 2,345 grave markers in the cemetery, but historians believe there may be more than twice as many people buried there. The Kennedy family traces its roots through Massachusetts’ history, and JFK’s library finds its home in Boston. It features a number of great permanent exhibits, including a replica of former President John F. Kennedy’s Oval Office and a nice collection of campaign materials. Jackie Kennedy fans will also find memorabilia to enjoy as well. 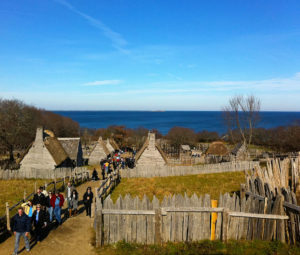 Go way back into Massachusetts’ history with a visit to Plymouth, where Plimoth Plantation will make you feel like you’ve gone back in time. You’ll see plenty of costumed staff greeting visitors and teaching them about life in colonial America. Plimoth Plantation is also home to the Mayflower II, a replica of the original ship; however, the ship is currently undergoing restoration to prepare for the 400th anniversary of the pilgrims’ arrival, so your next chance to see it won’t be until 2019. The opening shots of the Revolutionary War sounded during the Battle of Lexington and Concord. Today, a visit to Minute Man National Historical Park will treat you to some nice guided tours and a stop at the North Bridge, where the famous “shot heard ‘round the world” was fired. Ever hear the phrase, “One if by land, two if by sea?” That famous warning to Bostonians that the British were coming started at Old North Church, where lit lanterns sent a signal that it was time to prepare to fight. Today, visiting the church is a bit less dramatic, but nonetheless a beautiful stop to make. Paul Revere is forever etched in history for his famous ride to alert Boston that the British were on their way—and the house where he lived and got ready is the oldest existing home in Boston. It’s a great place to visit to learn the true story of that fateful night in the city—including whether he ever finished his ride! Colonial Massachusetts wasn’t the easiest place to live, especially if you were accused of practicing witchcraft. Leave Boston for a while and visit Salem to learn about this chapter of American history from the Salem Witch Museum and Memorial Park. The town’s memorial park, dedicated to the 20 victims who were wrongly put to death, is a worthwhile stop as well. Don’t miss a visit to the oldest commissioned naval vessel in the world! The USS Constitution first launched in 1797 and famously saw action during the War of 1812. Today, the ship is safely docked in Boston, which means guests can tour and learn about the fascinating history that comes with decades of naval service. 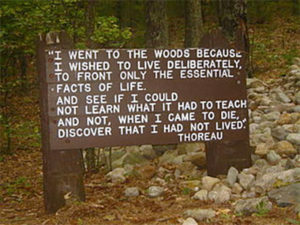 For two years in the mid-1800s, Henry David Thoreau lived at Walden Pond and wrote his masterpiece Walden based on his experiences, observations, and ruminations. Today, the pond is a protected park where visitors can explore more than 200 acres of land and create their own space to get in touch with nature. In the summer, the pond is open for swimming. You’ll also find plenty of trails for hiking and a replica cabin modeled after the one Thoreau lived in during his time there. I spent dozens of nights at the ballet in middle and high school, and the Boston Ballet produces some of the best performances on the globe. Their season often features a nice balance between favorites like The Nutcracker or Sleeping Beauty and modern or experimental shows expertly choreographed by the best in the business. Give your own feet the night off and enjoy an incredible show! Every year during the Fourth of July, the Boston Harbor comes alive to celebrate. Enjoy reenactments, guided tours, and special performances as you count down to the annual Pops concert and fireworks display. If there is one road race you absolutely must see, the Boston Marathon is it. Starting in Hopkinton, the race winds through Boston’s Metrowest suburbs to the finish line in Copley Square. You’ll have 26.2 miles of opportunities to find a spot to watch, so arrive early and get ready to cheer! 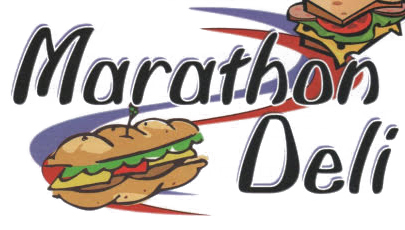 The race is held annually on Patriot’s Day, the third Monday in April and a public holiday in Massachusetts. The Boston Pops are world famous, and if you have a chance to catch a concert, you’re guaranteed to be amazed. Conducted by Keith Lockhart, their most famous show is the annual Fourth of July concert held at the Hatch Shell. Lockhart likes to bring in famous artists to perform along with the orchestra, so there’s a good chance you’ll know the guest stars! We love traveling for New Years, and we spent one of our favorite trips at First Night. From the ice sculptures to the concerts to the incredible fireworks display at midnight, brave the cold and make plans to welcome a new year in Boston. We splurged on a midnight harbor cruise, and it was worth every cent to see the fireworks bursting against the dark sky above us. Hundreds of thousands of competitive rowers converge on the Charles River each October for the ultimate in boat racing: the Head of the Charles. Even if crew isn’t your sport, you’ll get caught up in the athleticism displayed by each team as they speed down the river in hopes of winning a medal or trophy. They call it the City of Champions for a reason! Boston’s baseball, football, hockey, and basketball teams have each taken at least one championship since the turn of the century, which means you can watch virtually any game and know the home team will put up a good fight. You’ll have to trek to Foxboro to see the New England Patriots in the fall, but the Red Sox, Bruins, and Celtics play within city limits. Dress in green and join Boston as it celebrates St. Patrick’s Day each year! The annual parade is epic (and always well-attended! ), and most years you’ll be treated to Boston’s own Dropkick Murphys at the House of Blues. Keep up your energy with some corned beef and cabbage—many restaurants will serve it as part of special menus. Boston is famous for great seafood, and the high-end Atlantic Fish Company is a wonderful place to try some local favorites. It’s a nice special occasion restaurant in the Back Bay and a great place to kick off a trip to the city or celebrate as you prepare to depart for home. Be sure to ask for the scrod- seaman’s catch received on deck. Baked beans are a barbeque side dish throughout the USA, but Boston baked beans are in a class by themselves. Although the most iconic spot to eat them was Durgin Park, which sadly served its last bowl in 2018, there are still several Boston restaurants that serve them with molasses and salt pork (they are not a vegetarian dish!). Try Boston baked beans as a side dish at The Fours, a favorite city sports bar just a few minutes away from TD Garden. Marliave is another option for trying Boston baked beans near Boston Common. 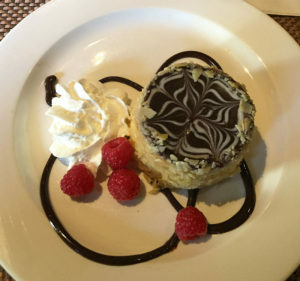 You might have eaten Boston cream pie, but if you haven’t had the Parker House’s version you’ve never really tried it. Boston cream pie is more cake than pie, and it’s the exact same recipe that the hotel originally served when they created it. Paired with a cup of coffee, it’s the perfect treat. Mike’s Pastry in Boston’s North End is a city staple, and locals and visitors alike clamor for the cannoli. Order one (or two!) and depart for a quieter location (like the waterfront) to savor your delicious purchase. 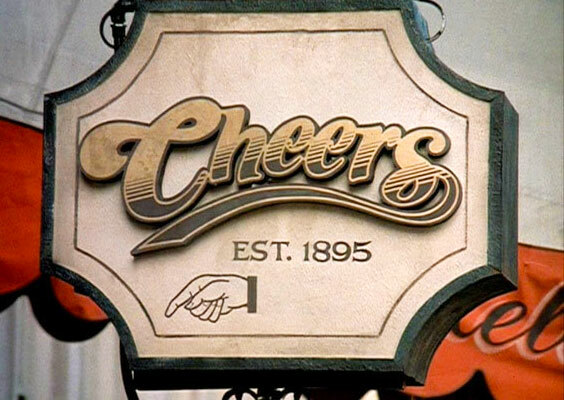 Sometimes you want to go where everybody knows your name… although, truthfully, they probably won’t know your name at Cheers if you’re not a regular. That shouldn’t stop you from visiting the iconic Boston bar. The Beacon Hill location inspired the TV show (although you’ll find another location at Faneuil Hall), and if you want the true Boston tourist experience, your trip won’t be complete until you take a selfie at Cheers. Boston is definitely a beer town, and Harpoon provides a nice tour of their facility to acquaint you with the brewing process. They also have a bar onsite that sells pints and fresh pretzels! Tour tickets are available daily, but you must buy them in person—no online sales—and tours often sell out on weekends. Venture to the Theater District and have a meal at Jacob Wirth, a fabulous German restaurant with a delectable weiner schnitzel. They also have a great beer list, including a few favorites I discovered during trips to Germany and Belgium. It’s a great place for happy hour or a casual dinner. Personally, I think lobster rolls are best enjoyed on the coast of Maine, but if driving to Portland is a bit too far Neptune Oyster has a great option that will keep you safely within Boston’s city limits. Order it hot with butter or cold with mayo. It’s not the cheapest lobster roll you’ll find, but the quality is worth the splurge. You’ll have to make your way all the way to Ashland for this one, but we promise it will be worth it. Located on the Boston Marathon route, the appropriately named deli serves a delicious variety of meals, sandwiches, and wraps. The Mayflower—turkey, stuffing, and cranberry sauce with an optional side of gravy—makes every day Thanksgiving. Sam Adams is popular everywhere, but nowhere more so than Boston. You can tour the Boston brewery to learn how the beer is made (and sample some as well!). Tickets are free, but you can’t reserve them in advance; they are first come first served every morning. Get an early start to secure your spot on a tour. You’ll certainly find oysters at Union Oyster House, but these days many people flock to the restaurant for their famous New England clam chowder. It’s also the oldest restaurant on Boston’s Freedom Trail, so history buffs can enjoy both the location and the chowder. Did we leave something out? Leave us a comment and let us know! Don’t miss these posts about some of the other cities we’ve called home. Oregon, Washington DC, Charlottesville, and Alexandria are all great places to visit! * Fenway Park image via Shutterstock.